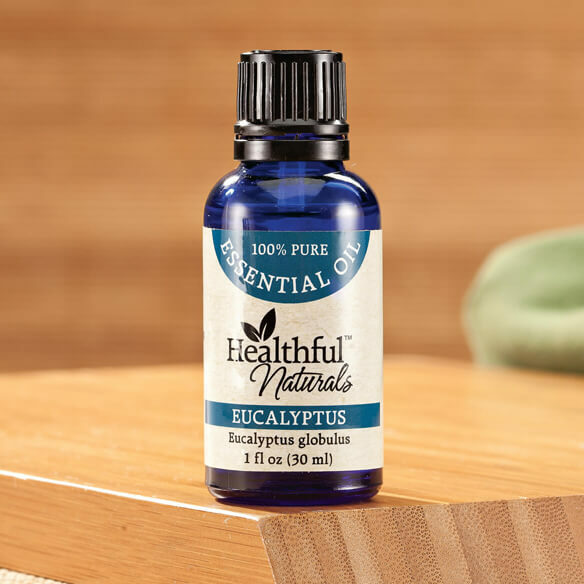 Breathe easy and soothe aches and pains with pure Healthful™ Naturals eucalyptus essential oil. Derived from its namesake tree, steam-distilling the leaves produces a cooling, refreshing oil with a camphoric, woody aroma. Ideal for cold and flu season, this decongestant and expectorant helps relieve symptoms of congestion and bronchitis and may help soothe tired, sore muscles. Use eucalyptus oil to support overall respiratory health. Blends well with lavender, lemon and cedarwood. I use this 2 times a day with peppermint oil to relieve may allergies. I love all of your oils especially Eucalyptus! To see if it will help my breathing. I have sinus problems and am hoping this will help with that so that I am able to sleep better. I enjoy using essential oils, use them daily. Helps with sinus issues. Again a fabulous essential oil! I wanted to try this scent with some of my other Essential oils that I already have gotten from your Company. Does it relieve chest congestion if mixed with coconut or olive oil and how many drops is needed if rubbing on chest?